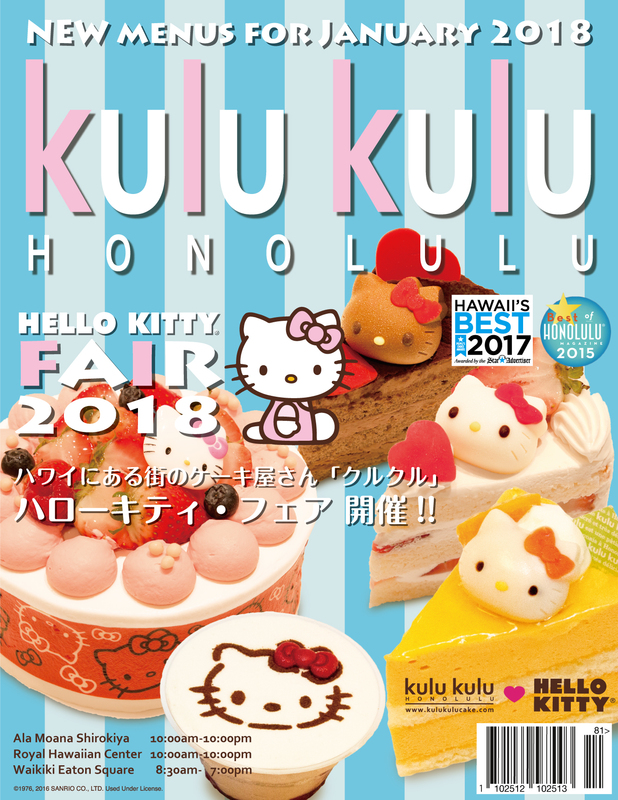 Kulu kulu is Starting 2018 with HELLO KITTY!!! Collaborating with HELLO KITTY, kulu kulu prepared 4 HELLO KITTY Small portion cakes, and 1 whole size cake. Our popular Strawberry Short Cake turned into HELLO KITTY Short Cake! So cute so that you cannot resist! Our signature chocolate cake became HELLO KITTY Chocolate Cake. HELLO KITTY with Mango & Papaya! Layer of sweetness and ripe tropical fruits creates delicious and juicy mousse cake! Chocolate mousse attracts young and old, especially when it comes with cute HELLO KITTY face on it. Enjoy the combination of Chocolate and Fruit sauce in this mousse.